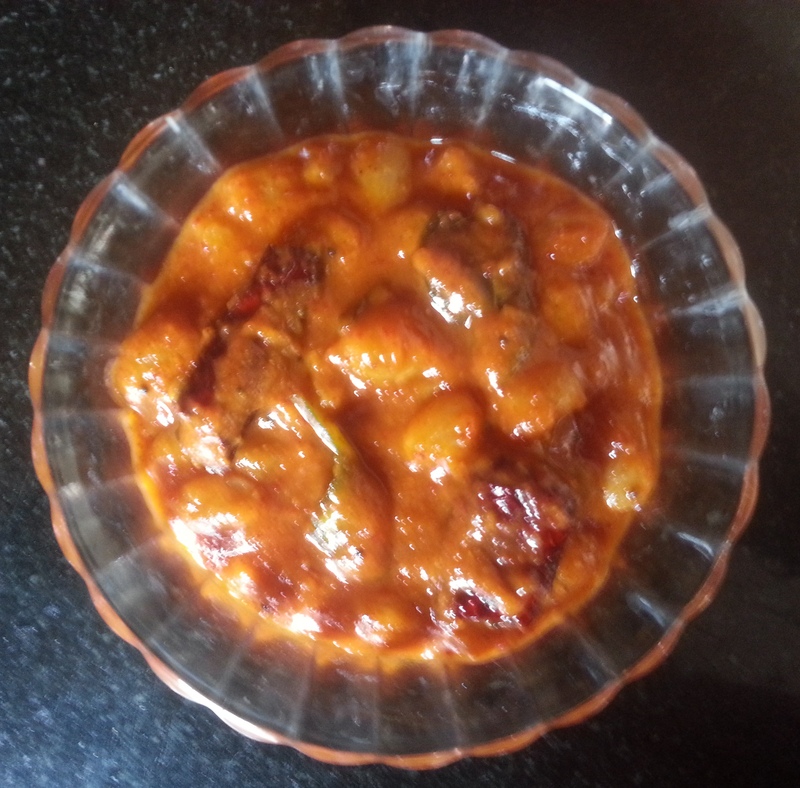 This rare spicy, tangy, lip smacking “Gojju” is the signature side dish of South India and served specially during auspicious occasions and festivals. Don’t miss trying this uber easy recipe! Wash raisins and curry leaves thoroughly in water. Drain and keep aside. Keep 500 ml. of water, raisins, tamarind paste, turmeric, jaggery and salt in a vessel. Let it boil in low flame for about 20 min. Grate dry coconut and keep aside. Dry fry til seeds and grated dry coconut separately in a kadai. Powder til seeds and keep aside. Grind dry fried grated dry coconut with required quantity of gojju powder and keep aside. Mix the above ground gojju powder with 250 ml water in a bowl and add this to the raisins cooking in the vessel. Continue boiling. When the consistency becomes thick, add til powder. Continue boiling for another 5 min. Now take the vessel off the stove and prepare seasoning. For seasoning, heat a small skillet. Put oil. When it is heated, add mustard seeds. When it crackles, add red chillies and curry leaves. Switch off the burner. Now add asafoetida and immediately pour on to the gojju.